Spend an irresistible 5 days trip to Cairo, Luxor, and Alexandria in which you are going to visit the entrancing Egypt tourist attractions such as Pyramids, the emphatic Sphinx, the glorious Valley Temple, the miraculous Egyptian Museum. You will also have a special trip to Luxor to visit its astonishing landmarks starting from Valley of the Kings, rare Hatshepsut Temple, stunning Colossi of Memnon, and definitely the admirable Karnak Temple. It is not everything as you will also be able to have a tour in splendid Alexandria where you are going to visit the Catacombs, Pompey’s Pillar, the marvelous Citadel of Quitbay and remarkable Alexandria Library. Do not hesitate and book us now to enjoy this irresistible chance. Our delegate’s responsibility is meeting and assisting you at Cairo Airport. 3 Nights accommodation in Cairo at 5*hotel based on B & B. 1 Night accommodation in Luxor at 5* hotel with a gorgeous view. 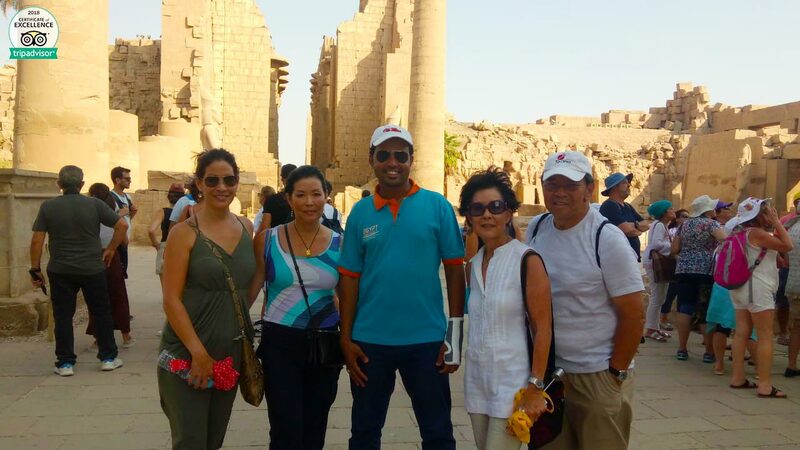 A private Egyptologist tour guide during the whole of your tour. All your transfers will be through a decent private Air-Conditioned vehicle. Entrance Fees to all the available sights in the Itinerary. 3 lunch meals during your awesome adventure. All taxes and charges are already paid. Welcome to Egypt, the original country of all of that is unique. Our specialist representative will meet you at Cairo Airport to help you in finishing all of your official transactions to join your indwelling in Egypt. Then you are going to check in at a 5* Hotel in Cairo. At evening time join our tour guide to have your toothsome dinner cruise meal and back to your hotel for overnight. Enjoy the breakfast at your hotel, then you will go directly with your private tour guide to visit Cairo tourist attractions such as the Great Giza Pyramids Complex, the great Sphinx, mesmerizing Valley Temple, and out of the world “The Egyptian Museum”. The best thing to do in Egypt is going directly to Giza Pyramids that carry a unique concept from the great Ancient Civilization. This Complex is an archeological site on Giza plateau. It is located in the western desert and contains the three main Giza Pyramids Khufu, Khafre, and Mankaure in addition to the Valley Temple and some Ancient Egyptian cemeteries. It was connected to a causeway, which led to the Mortuary Temple of King Khufu. This pyramid has three smaller Queen’s pyramids associated with it. Its height is 147m and the number of its stones is 2300000. It lies on the east side of Giza Complex. It’s so mythical because of its shape. It has a body of a lion and ahead of a human. The majority of the Egyptologists believe that its head belongs to King Khafre. The purpose of this Valley Temple is that it was used in the Mummification process and sometimes for “The opening of the mouth”, ceremony. It has been buried under the sand of the desert until the 19th century. Lunchtime and then get ready as you are going to go to the recherché Egyptian Museum. It takes pride in the place that consists of the most important collection of the Ancient monuments all around the world. It also contains the collection of Tutankhamun’s treasures, the section of the mummy which includes the most famous mummies of the ancient Egyptian Kings and Queens. After finishing your tour, transfer to Cairo Airport to have your flight to Luxor, upon arrival meet our representative to check in 5* hotel in Luxor and overnight. The majority of the tombs there belong to favored nobles and members of the royal family. It was established as a UNESCO World Heritage site in 1979. It is home to tombs such a Ramses II and Tutankhamun. It is the most beautiful royal mortuary temple among the other ones. Queen Hatshepsut who ruled for about two decades built this temple. The construction took about fifteen years between the 7th and the 22nd years of her ruling reign. These statues have survived for about 3400 years. They depict the Pharaoh Amenhotep III, who ruled during the 18th Dynasty. It is the time now to have your delightful lunch and then we’ll transfer you to Luxor Airport to return to Cairo for overnight. Some archeologists believe that the Catacomb of Kom El-Shoqafa started in the 2nd century and continued for the following 200 years. It’s considered one of the seven wonders of the world. It merges some Egyptian, Roman, and Greek cultural features. It’s the largest Roman column of its type. It measures 20.46m and its height is 26.85. It rises out of the sparse ruins of the Temple of Serapeum. Have your fantastic lunch and continue the rest of your adventure. It’s considered to be one of the most defensive strongholds in Egypt and along the whole Mediterranean sea coast. The Citadel was built on the exact place of the Lighthouse of Alexandria, which was considered one of the seven wonders of the Ancient world. It was reborn in 2002 and it is not just a great building but it also has a copy of every single book that has ever been written all around the world. All different kinds of art, history, literature, civilization, and culture are mixed together in this Complex. Finally, we will transfer you back to your hotel in Cairo for overnight. Start your day with eating your tasty breakfast and then our representative will assist you in all your paper transactions to depart beautiful Egypt and take you to Cairo Airport. If you didn’t find your breathtaking tour, check our luxury Egypt tours and choose your dream vacation, or customize your trip via section Egypt Travel Planner.